Pastors today face challenges on many fronts that can spiritually deplete them. Hope fades and some even begin to question their calling. 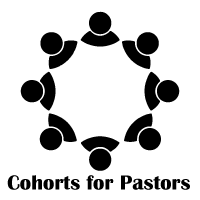 Put an end to spiritual isolation by joining a group of 6-8 other pastors who commit themselves to intentional community, praying together, supporting one another, sharing ideas, and celebrating God’s activity. Cohorts are led by an experienced Blackaby coach who will guide discussions and introduce spiritual leadership principles designed to revitalize your church. Both in-person and live video-based cohorts are being formed. Join a Spiritual Revitalization Pastors’ Group and see what God can do in your life and ministry! For more information, contact Bob Royall via email at b.royall@blackaby.org or by phone at (770) 826-5440.